One of director Spike Lee’s best movies sits on the shoulders of 9-year-old Troy Carmichael (Zelda Harris). A little brown package swathed in braids and beads was on a simple journey to survive in a house with four brothers during the hot summer of 1973 in the Bedford –Stuyvesant section of Brooklyn New York. The neighborhood kids found themselves breaking opening the fire hydrants to stay cool or grabbing nickel popsicles from the ice cream truck. But the Carmichael family was little different. 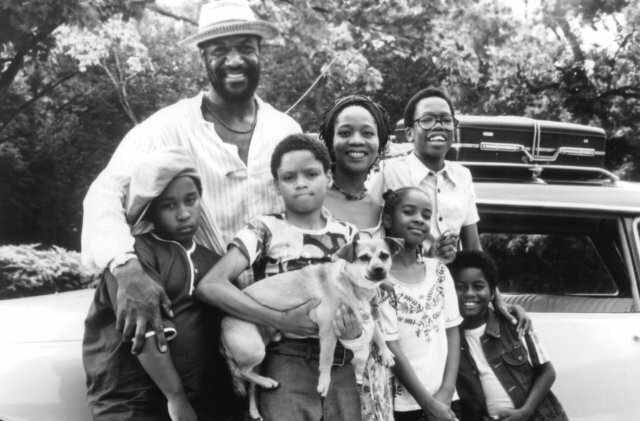 Led by mom and educator, Carolyn (Alfre Woodard), and insipired musician and father, Woody (Delroy Lindo), in a mixed community, the Carmichael family was one of the only families that owned their Brownstone and both parents were still together, married, and raising their children. The Carmichael children often took pride in not being eligible for food stamps, but still had to succumb to the middle income struggle of getting their lights cut off. Troy the Boy, as her siblings called her, kept busy with teasing and tormenting her brothers, traveling to visit family, and dealing with an unexpected death; that death leaving little Troy as the woman in the house. All too many times, children don’t see the adult problems until they have to face them. Troy, her brothers, and her father had to cope with the As the movie, came to a hurtful ending, when the Carmichael family loss their mother, leader and matriarch of the family. 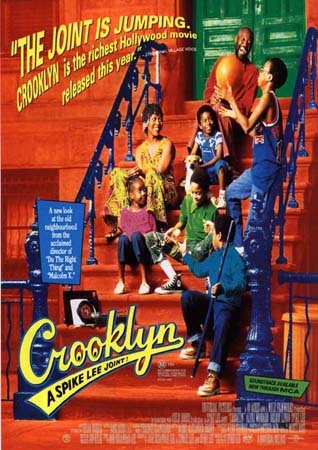 Crooklyn consisted of all of Spike Lee’s normal features like the boys singing on the stoop, a character gliding aimlessly through the air, and a take on social African American issues. Crooklyn’s overall theme still resonates to this day. The daily struggles of raising an African American family in a troubled neighborhood. Between the gun violence, drugs, and lack of external resources, it’s up to Black parents to protect their children and hope that they are not products of their environment. Miss RuPaul, the notorious cross dresser, was the perfect person to utter those memorable words. I will never forget that scene. It goes down in movie one-liner history! 5 STARS: Crooklyn is a deep interpretation of the life in any urban community. The movie makes you laugh, cry, and think. A movie for the entire family to watch together. A true Spike Lee Joint! Crooklyn is my all time favorite movie ever. OMG I have seen that movie over a dozen times. I laugh at the same scenes and cry at the end as well. I love RuPauls part in this I think that was the first time I saw a true drag queen. Also the part when they stuffed poor lil queeny in the sofa. Sorry but that part was funny. Oh and the part when she poured hot water on dude and told him to get off her stoop. And the many other scene as well as the long socks. Priceless!